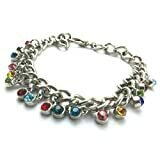 Rainbow Bright Charm Bracelet - 7.5 inches - lobster clasp The Rainbow Bright Charm Bracelet will light up any outfit! 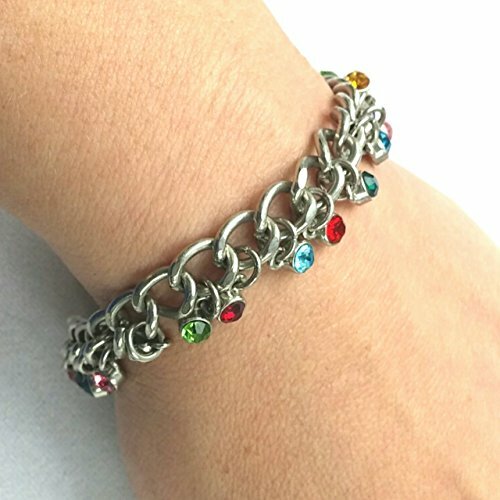 The colorful rhinestones playfully dancing on your wrist will throw prisms around you as you move. Multicolored, rainbow tones are perfect to celebrate your pride or just show off a bright happy fashion sense. Only 1 left - ready to ship - order now and this lovely statement bracelet will be shipped the next business day!